Posted June 1, 2017 by Sage & filed under Teaching, Yoga. 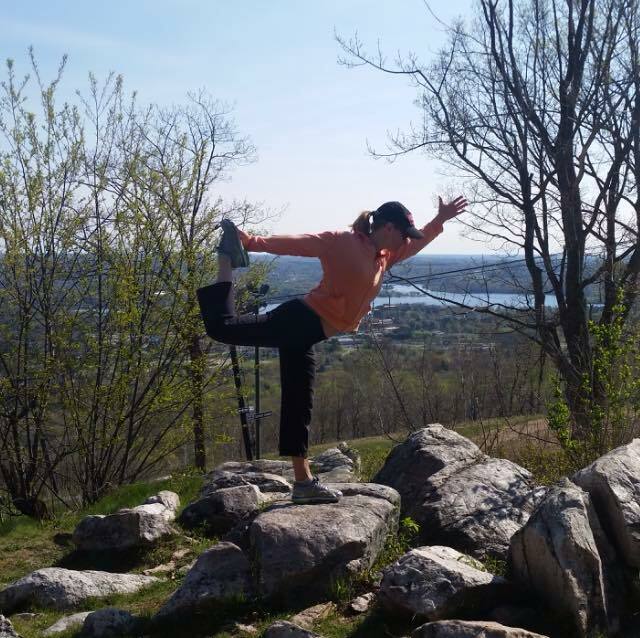 Meet Kirsten Larson, one of the newest certified Sage Yoga for Athletes teachers. This beauty lives on the eastern side of the Research Triangle, but we’ll get to see lots of her at Carrboro Yoga as she moves through our teacher training. She’s already a wonderful teacher, though. Her classes are inclusive, clear, and calming, and her precise cuing gets students into the right places so that there’s plenty of room for quiet and inner experience. To me, this is a major sign of a gifted teacher. Kirsten is especially interested in soccer and football players, and I also highly recommend her for any athlete or non athlete looking for a skilled teacher in Raleigh and points east. Reach her here.